XPart's nationwide AutoService centre network of MG Rover specialists is helping car owners keep their cars for longer by offering quality repairs for K-series engines - good news for MG Rover, Lotus Elise and Caterham owners. The company's nationwide network of repairers draws on its strong knowledge and experience of servicing K-series engines together with the latest head gasket repair kits from XPart to carry out quality repairs. XPart AutoService centre technicians are increasingly conducting K-series engine repairs using the company's ‘ultimate' MLS head gasket repair kit, which comprises a strengthened lower oil rail and head bolt set. XPart AutoService centre Sterling Automotive has completed more than 400 repairs to K-series engines since 2007, with no reports of failure. XPart recently revealed that MG Rover cars produced after 2000 have only declined by three percent in the past 12 months, despite the factory closure in 2005. The company has worked hard over the past five years to ensure that MG and Rover owners still have access to specialist servicing, genuine parts and dealer level support via its 250-strong MG Rover AutoService centres. "We tackle the root cause of any K-series head gasket issue and ensure that the fix we recommend helps to prevent any reoccurrence of the problem," explains Patrick Warner, Managing Director, Sterling Automotive. 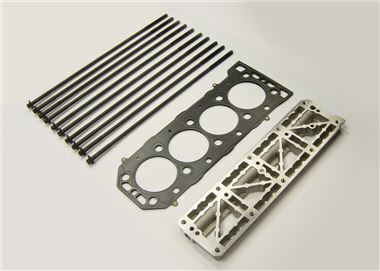 "We use XPart's MLS head gasket repair kit for virtually every repair. Additionally, we address many of the causes of coolant leaks and install a coolant level sensor kit to detect any subsequent drop in coolant levels." Please visit www.xpart.com to locate your nearest XPart MG Rover specialist.